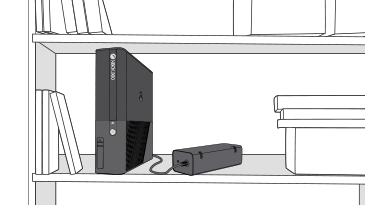 The light in the center of the Xbox 360 console power button blinks red. A blinking red light on the power button means that your console doesn’t have enough ventilation. The red light will continue blinking until the console cools down. Wait for the red light on the power button to stop blinking. When you turn on the console, you might see a message explaining why your console shut down and steps you can take to prevent the problem in the future. Move your console to an open, well-ventilated area, away from all other electronic devices. Do not put the console in an enclosed space. Put the console in an open area with lots of ventilation. Do not stack other electronic devices on top of, underneath, or against the sides of your console. Make sure the console and its power supply are on a hard surface. Do not put the console on something soft (such as a bed, sofa, or rug). Position the console away from heat sources, such as ventilation openings on televisions and electronic devices. Also, keep the console away from heating vents and direct sunlight. If your console continues to shut down because there is not enough ventilation, even though your console is in a cool, well-ventilated location, your console might need to be repaired at our service center. Start the repair process online. 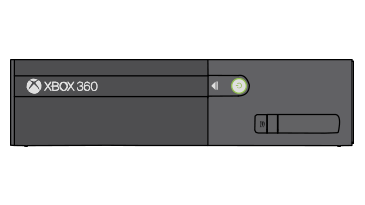 Would you like to contact Support regarding the "The Xbox 360 console power button blinks red" issue you were reading about or a different issue?